Blogging business has emmerged as the best money making machine for the bloggers and therefore we can see everyday hundreds of blogs are being created. If you are also planning for the starting of bloggin business then here read the right step by step guide on how to start a blog for free for killer startup. A – Chooe only 1 topic for blogging avoid multi topics. B – Select the topic on which atleast you can write minimum 1 post per week. C – Do not focus on topic with highest competition because ROI is very important. D – Your choosen niche must have good affiliate market sellig status also i mean to say in which niche peoples prefer to buy products online. A – Prefer top level domain names like .com, .org and .net for getting traffic globally or if you want to get traffic from one specific country only then country wise extensions like .in or .us will be good idea. B – Your domain name must show that which niche it belongs because in this way you get good traffic from search engines and this helps in good branding also but remember 1 thing just avoid exact keywords match domain names because Google hates this. You should again be selective for the choosing web hosting and personally i always like to prefer Arvixe web Hosting because it gives free domain name also and the costing is very reasonable and i can say their uptime and services status also good and i have seen loading time of the websites of some clients is very nice and they are hosted on Arvixe. Lot of bloggers are using blogger but WordPress is the first choice of my kind of bloggers because there are so many useful plugins, themes, widgets are available for WordPress based blogs which helps in improving over all performance of the websites easily and if you have your own domain + hosting then creating a blog using WordPress is absolutely free and easy. It is the task of only few 4 – 5 minutes just follow the instruction for WordPress install on capnel here. 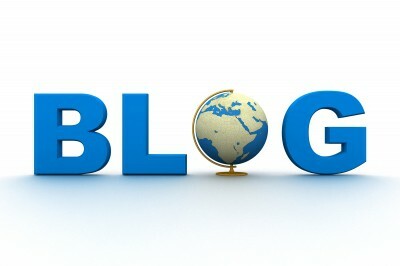 Now read final step on how to start a blog for free guide below here. Your theme must be user friendly because when a visitor come to your site design of your website is so much responsible for the conversion rate so always prefers to use customer oriented design and mobile friendly responsive structure also. Theme Junkie offers quality premium WordPress themes collection which are perfect for any kind of blog design and available at very reasonable prices and can run on any platforms like mobile phone, tablets etc. And your WordPress blog is ready and start writing your posts in it. I hope this post on how to start a blog for free guide using WordPress platform will be helpful for you. Very good useful post. think new bloggers must have passion & dedication of what they are doing. I read your article about google ad-sense for create account. i will use your google adsense tips. how increase alexa ranking foe website. i Will use tips for increase website ranking. i step step create website in wordpress.